1. Sift all purpose flour, cardamon powder and salt, set aside.Grind sugar to smooth powder using a grinder. 2. Cream ghee and powdered sugar until creamy. 3. 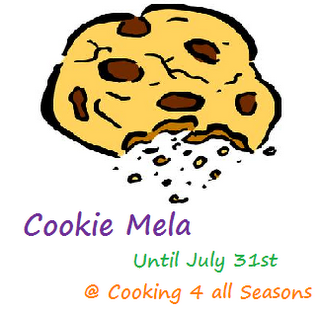 Mix flour little by little with creamy mixture using a spoon. 4. Add chopped nuts to the mixture and mix together with hand. 5. 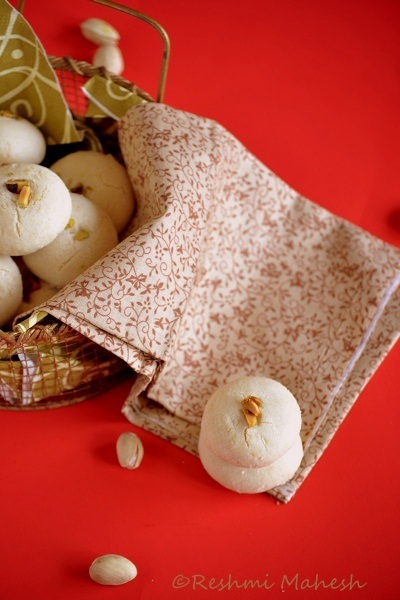 Make balls using the dough and place them in a baking sheet with baking paper spaced apart.Softly press the balls and place the pista on top with a gentle press. 6. Bake for 15 min at 350 F.The cookies doesn't have to color. 1. You can use dalda(veg shortening) instead of ghee. 2. Nuts can be replaced or removed. Nice cookies, clicks are attractive with the red background! 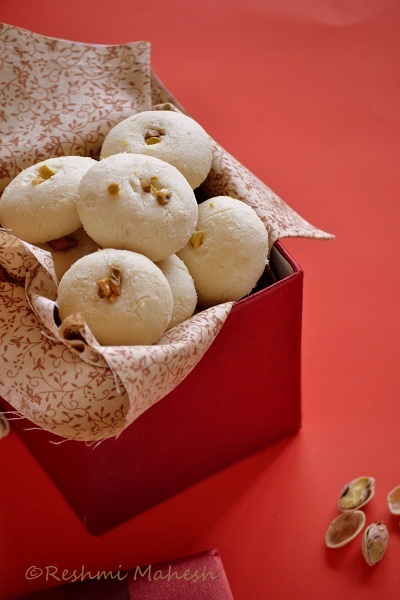 Nankhatai looks so cute and delicious..perfectly done..loved the neat presentation! 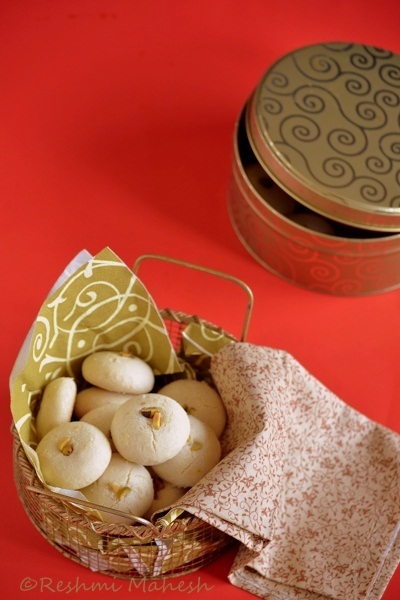 Lovely cookies dear..let me also try it soon! 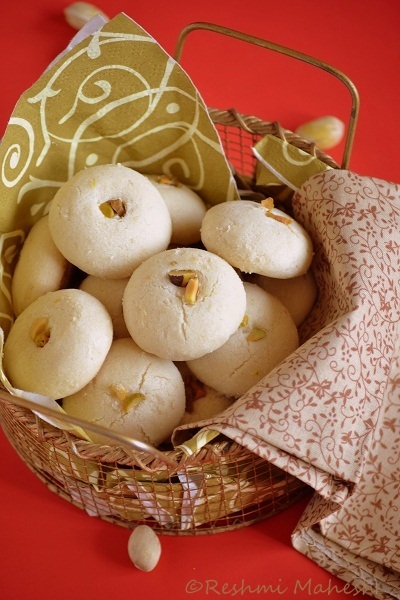 wow nankhatai luks yummm...just perfect ! Looks very perfect and delicious. My friend used to make this often. I have never tried them at home though. Looks perfect. 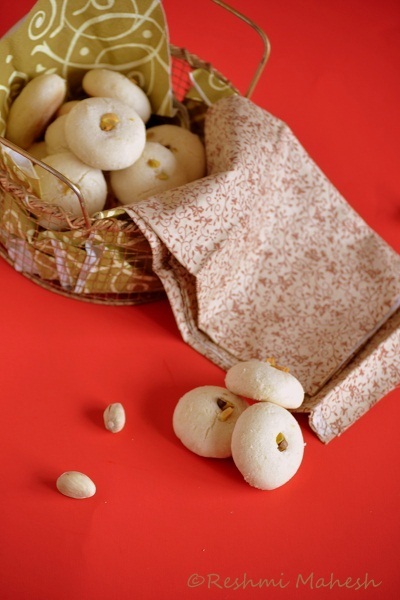 Adipoli perfection,one of my fav cookies too..bookmarked !! 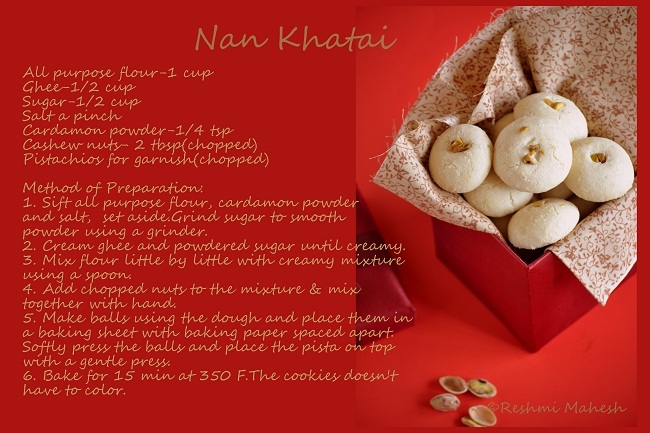 Nan Khatai looks delicious and perfect. Your clicks are beautiful. I have corrected the name of the link. 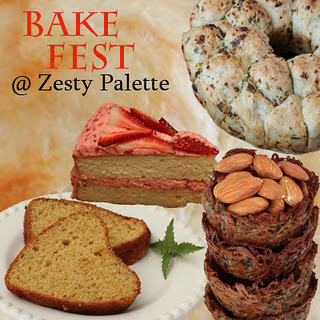 I send you an e-mail regarding baking group, let me Know. What should I say...Ur pictures are simply breath taking... I am still learning to take photos... Keep up the good work. Naan kattai is my fav too. Made some two weeks back for my friends here.. will post my recipe too..see how terrible the photos are when i post it. Like I used to make when I had my oven. And they are so delicious in their own way! wow, it looks perfect and your photography is amazing! 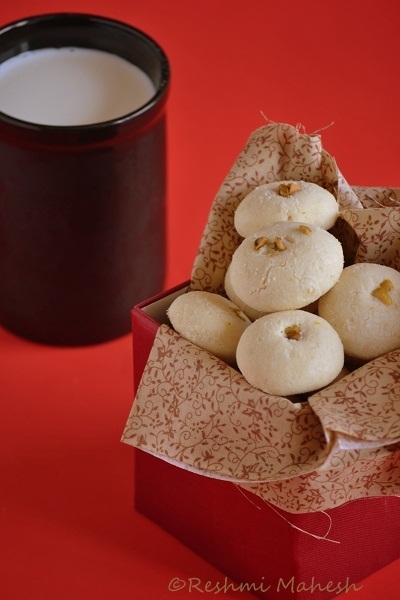 Cookies look like they will melt in your mouth.Lovely clicks too. Looks very delicious...nice clicks too. I love these! Looks fabulous & awesome clicks! Looks absolutely delicious. Nice clicks.